Our teacher has now turned from a baby toddler teacher to a swimming instructor. Our care givers are no longer in the water with us. Make sure your teacher is experienced, certified and patient. 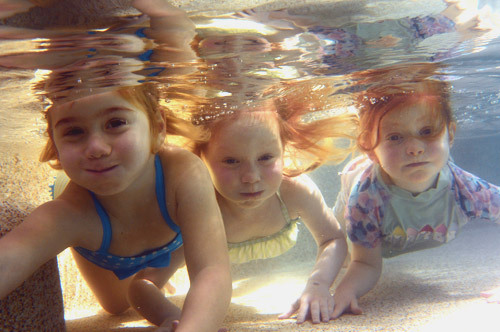 Learn to swim is pre-schoolers or sometimes school age children still learning their survival skills. 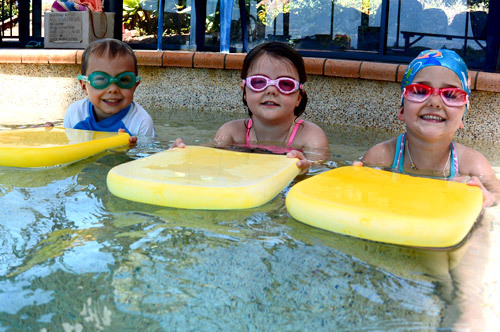 It is important babies, toddlers and children know how to float, fall in and swim back to the wall, swim in a relaxed calm manner and roll to back to get a breath.,dive in from the side, go to the bottom of the pool to gather treasures, swim and float in deep and shallow water. These vital survival skills should be proficient before commencing stroke development. This is the first class without the parent/caregiver in the water. There is no age definition at this level, it is all skill based as well as having sound knowledge of the child’s psychological social, physical and emotional readiness. We are still little and need to have fun, excitement, games and a strong bonding trust with our teacher. All about the body and head position in the water. Streamlined body, rotations and strengthening survival swimming, the introduction of kicking for freestyle and backstroke. We can even do wiggly worm for butterfly kick with and without flippers. Some days we even try breaststroke kick just because we can.